With its rich history, strategic location in the Tampa Bay area, abundant recreational activities, and small town charm, the city of Oldsmar has much to offer its residents, visitors and business owners. Oldsmar is positioned between the “best of two worlds”: Metropolitan Tampa and the famed white sand Gulf Beaches of Pinellas County. The city is only 20 minutes from two international airports and centrally located to a variety of entertainment venues. This strategic location supports hundreds of office and industrial businesses with over 55,000 vehicles traveling daily through the city. With 41% of its land dedicated to recreational parks, preserves, sports, and trails, it is a haven for outdoor enthusiasts. The waterfront shorelines, landscaped boulevards, and year round special eventsmake Oldsmar a great place to live, work, play and stay. Oldsmar has a population of approximately 13,000 and contains more than 5,000 households, with a median household income of $59,205. The five-mile trade area includes 146,253 residents and 60,691 households, with an estimated median household income of $66,674. The City is home to 925 businesses and nearly 12,000 employees, and the largest industries are business services, retail trade and manufacturing. Major area employers include Nielsen Media Research, Lockheed Martin Tactical, SRI Surgical, Osgood Industries, Belac, Southern Analytical Laboratories, Microlumen and United Health Group. Making Oldsmar a great community is a result of innovative long range planning and insuring quality in all aspects of government. The Community Redevelopment Area (CRA) provides a mix of residential, office, retail and restaurant uses, in a modern but nostalgic setting. Oldsmarplans to develop a city-owned site with a plaza/gathering place and mixed-used buildings surrounding the plaza. This 3.5 acre area adjacent to City Hall, known as Market Square, provides an excellent opportunity for development. The location of a CSX rail line through the city is providing an opportunity to pursue aMultimodal Facility that will support pedestrian-oriented mixed-use activities that accommodate transit and other multimodal options. The Tampa Road Corridor Initiative is designed to improve the quality of projects along this key transportation corridor between Tampa and Pinellas County. Architectural consistency standards for the corridor have been adopted and enhanced landscaping has been installed in the medians. The city continues to make financial commitments to its industrial parks, which include improvements to signage, infrastructure, and streetscape. Extensive streetscape projects in the CRA will continue with a new design for St. Petersburg Drive. The project includes road resurfacing, new on-street parking, sidewalks, street lights, landscaping and two electric car charging stations. A new 60,000-square-foot building is nearly complete at the Brooker Creek Corporate Center. Medical manufacturer Microlumen will bring about 100 new jobs when it relocates to the new facility. A planned 112-room Hampton Inn Hotel & Suites will be constructed near the Town Center joining four other major hotels in the area. Interior renovations and restoration of the historic Oldsmar Bank Building were recently completed. 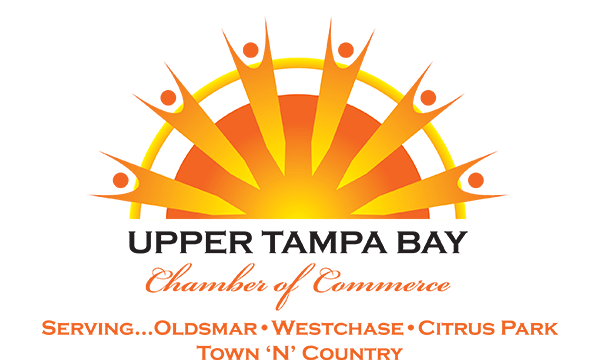 The renovation maintains the historic character of this significant building which houses City Council Chambers, the Upper Tampa Bay Chamber of Commerce and the Historical Society. With a goal of providing a long term solution to its potable water requirements, Oldsmar is creating an innovative water supply and treatment systemusing reverse osmosis technology. This state-of-the-art facility will be operating by 2012. Oldsmar is home to a variety of industrial and office centersincluding Tampa Bay Park of Commerce, Bay Arbor Place, Brooker Creek Corporate Center, Cypress Lakes Industrial Park, Mears/Sellers Industrial Park, Park Avenue Plaza and North Tampa Shores. For businesses in the Cypress Lakes Industrial Park, the city offers a Property Improvement Matching Grant Programdesigned to stimulate and leverage investment through enhanced appearance and condition of industrial structures and properties. This program can provide up to a $10,000 matching grant based on the total value of the project. Select business properties located north of Tampa Road may be eligible for a USDA Business and Industry Guaranteed Loan which provides loan guarantees to improve, develop or finance business, industry and employment projects. The 141-acre CRA provides opportunity for mixed-use development, including retail and office projects. This 3.5-acre Market Square provides an excellent opportunity for private development in partnership with the city.